The popularity of mobile spy software is increasing every passing day as worried wifes want to confirm that their husbands are absolutely honest with them at all times. It is very easy to know about the activities on the partner’s phone as the software can be installed in almost any phone and it will then forward every single call or text messages log to the specific website. Only the registered user can have the access to this information. Access to the text messages will enable you to know what your husband is up to. How to Check Text Messages without Touching the Phone? The application is completely hidden: If the users come to know about the app then the whole purpose of spying will be destroyed. Hence these apps have the ability to spy in full stealth mode i.e. be invisible to the eyes of the user and to the tools that are designed to display the list of running applications in the device. The owner will never come to know about the app but the app will continuously track the data and upload it to the website. Mobile spy app might sound a bit complicated and a sophisticated technology but on the contrary, it is a very simple app. One might not be a technical expert or have knowledge of high-end applications to use this app. The spy software utilizes the IMEI number of track the activity on a mobile device. With the advancement in technology, developers are able to take benefit from this unique number. Tools are designed to connect to track calls using this IMEI and monitor it remotely from anywhere anytime. You can even monitor a call from any country sitting in some other country. 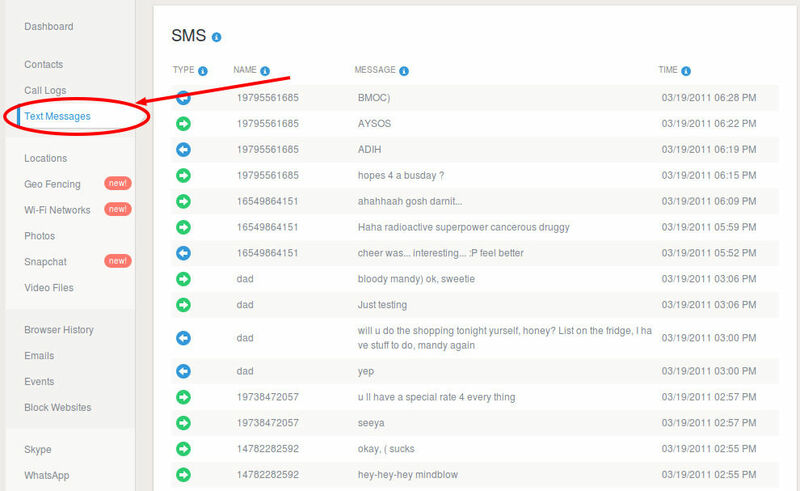 Added features for additional tracking: Apart from tracking text messages and monitoring incoming/outgoing calls, there are other tools as well to locate the phone location anytime. Since the IMEI number can be utilized to connect to the phone anytime, the online mapping facility is also used to pin point its location. In order to access the information recorded by the app, you need to login to you account where the app frequently updates the data. These applications can be used by business enterprises as well to keep an eye on its employees and ensure that they are using the company’s resources for the official purpose only and by people who are suspecting their spouses in having an affair. Is it possible to track my husband’s text log? My ex downloaded mSpy and tracked all my messages, but we are divorced now and he still seems to know my every move and message. How can I get rid of him, that he doesn’t know my conversations? So we can both move on with our lives. Are you sure that it is mSpy? From our experience, it’s very hard to detect mSpy on the phone, so perhaps it is another app, which is simpler to deal with. Try to contact mSpy Support with this issue, I think they’ll be able to help you. No, you need to install a spyware to do that. I am curious about how this actually works? In order to get access to all messenger on your husband’s phone, you need to install a spyware directly to it. Please contact mSpy team for more details. We recommend you also to inform your partner, that you use cell phone tracker, while it is not legal to monitor adults. How does this work? Do I download it on the phone I’m checking? Or can I just do it from my phone? 1. You install the app to track phone without them knowing on the phone you’re checking. 2. Now from your phone, you log in to the account with the Control Panel (a place where the data from phone spy comes) and view the needed information like text messages. Home » Tracking My Partner » Are You Looking for an App to Have Access to Text Messages of Your Husband?